All new cars to be electric or hybrid by 2040: How does it impact you? In 2040, the government will be banning all new diesel and petrol cars, in favour of electric vehicles in order to improve air quality. Currently only 108,000 out of 31.7 million cars in the UK are plug in cars, with more than 70 models available, but that is set to change in the coming years. With the sales of electric or hybrid cars expected to surge, we are looking at a variety of factors which first must be improved for the industry to thrive. We are also looking at the positive impacts the electric industry can have for installers and homeowners. A key danger with electric cars is their silence, with pedestrians not being aware of where they are coming from or how quickly they are travelling. It has been reported that pedestrians are 40% more likely to be run over by a quiet hybrid or electric vehicle, than a car with a petrol or diesel engine. There has already been a 54% rise in pedestrian injuries involving quiet electric cars between 2012-2013. In the US in 2016, a law was passed that required all electric cars (both electric and hybrid) to make a noise when travelling in speeds of up to 19mph, in order to prevent 2,400 deaths a year. In the UK, Guide Dogs for the Blind charity have recently complained about the ‘lack of consistency’ with some vehicles having no alert system and others having a driver controlled alert system. This means that the driver chooses to turn the alert on or off. The EU has said that by 2021, this alerting sound needs to be automatic when the electric car is moving forward, is in reverse or travelling below 19mph. This noise alert is yet to be decided, but it will aid all pedestrians, especially those who are blind or who are visually impaired. With no new diesel or petrol cars being manufactured, a key impact will be the immediate loss of jobs. The car market for new cars in the UK currently supports more than 800,000 workers, and some believe there isn’t enough time to support the industry before the ban comes into place. However, the rise in electric vehicle manufacturing means the industry will need more workers to accommodate the influx in orders. This creates a great opportunity for those already working in the new car industry to re-skill and develop into a new role. Currently only 1% of mechanics can work on electric cars, holding the legal qualifications to do so. But with the introduction of the new Electric and Hybrid Vehicle qualification, it opens the door for many existing mechanics to make that transition into electric technology. The debate of whether there are enough charging points is an important one. 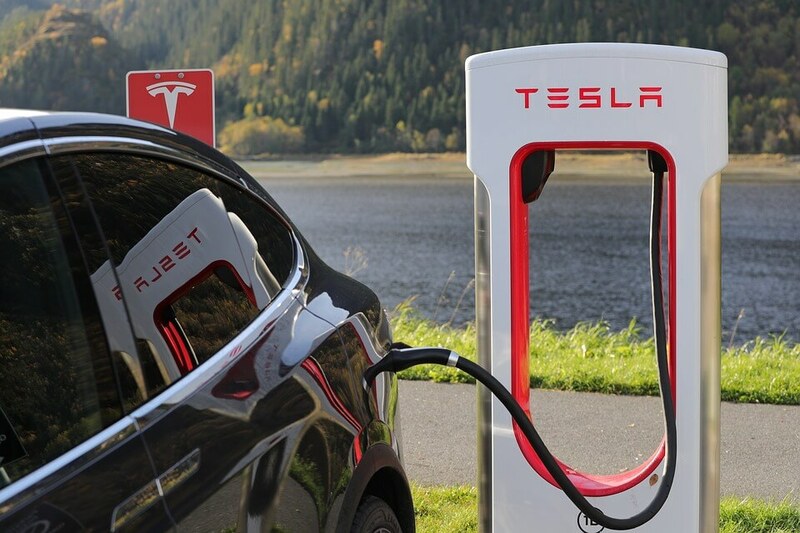 By 2040, many of the existing petrol stations will have to be turned into electric vehicle charging stations, or at least have more charging points added. This change will be to accommodate the influx of electric vehicles on the road. On a positive note, more charging points being added to petrol stations and owners homes, means more electricians will be required to train up and install them. Homes will need to have one, workplaces could want them for employees, public places will have more installed beside parking spaces, shopping centres will need them; the surge will be huge and undeniable, and electricians can capitalise on it. Charging your car using clean energy is something the green industry strives for, but can our renewable energy networks take the increasing demand? Is there enough energy available to charge potentially thousands and maybe millions more vehicles? Between now and 2040, when the ban comes into force, does the government need to factor in a new feed-in-tariff to encourage more homeowners to create their own electricity, charging not only their home but their electric car too, and feed any excess back to the grid to charge other electric cars? Another feed-in-tariff would definitely tempt new renewable energy customers in, particularly those who would have never installed a renewable system before. Currently there is no tax on electric vehicles, whereas there is for petrol or diesel vehicles. With more customers expected to upgrade to electric and no tax money coming in from that avenue, the government will have to account for this loss of revenue and apply it somewhere else to compensate. London will be the first city to face a toxicity charge, T-Charge, which applies to pre-Euro 4 petrol and diesel cars (normally those registered before 2005). From 23rd October, operating Monday through Friday 7am – 6pm, drivers will be charged £10 (as well as £11.50 congestion charge) for driving through central London. You can find out if your car is affected here. It is expected that in the coming years that diesel cars could potentially face further T-Charges and/or bans in peak hours in more cities, in effort to discourage them from using their diesel cars in the city. Potential bans and further T-Charges are expected to affect 10 million diesel cars throughout various cities in the UK. Other potential extra costs for diesel cars include a more expensive car tax, parking surcharges, and also increased parking permit cost. If you crash an electric vehicle, there are risks of potential shocks from ‘damaged systems not disengaging during or immediately after a crash’. This puts first responders, pedestrians and tow operators at a serious risk. Where normal cars have tanks full of petrol or diesel, which can catch fire quickly, you would think electric vehicles are safer if it crashes? Wrong. Electric vehicles have an equally as deadly combustion factor, with their lithium-ion (li-ion) battery that it runs on. These batteries are the same ones that are in your laptops and phone, and the same ones that can catch fire and eventually explode. Imagine a li-ion battery exploding out of your laptop, then imagine not one, but thousands of li-ion batteries exploding out of your car. The problem with li-ion batteries is not letting them get hot, which is why Tesla, Ford and Nissan have all installed a battery cooling process within their electric/hybrid cars. It has also been recommended that car manufacturers install a switch inside the electric vehicle, which upon a crash, would kill the battery power instantly, preventing a battery explosion or electric shock. Some manufacturers are already installing signs for cars as a pre-warning in the event of a crash, or battery protection like a kill switch, or systems which help the first responders with how to manage the car and prevent from shock.